Pusat Studi Hukum dan Kebijakan Indonesia (PSHK), Hukumonline, Lubis Ganie Surowidjojo (LGS), Yayasan Baruna Nusantara, Seventy Three, and Meridian Institute, with support from the David and Lucile Packard Foundation, are jointly publishing a report on “The Legal Framework and Government Institutional Landscape of the Fisheries Sector in Indonesia”. 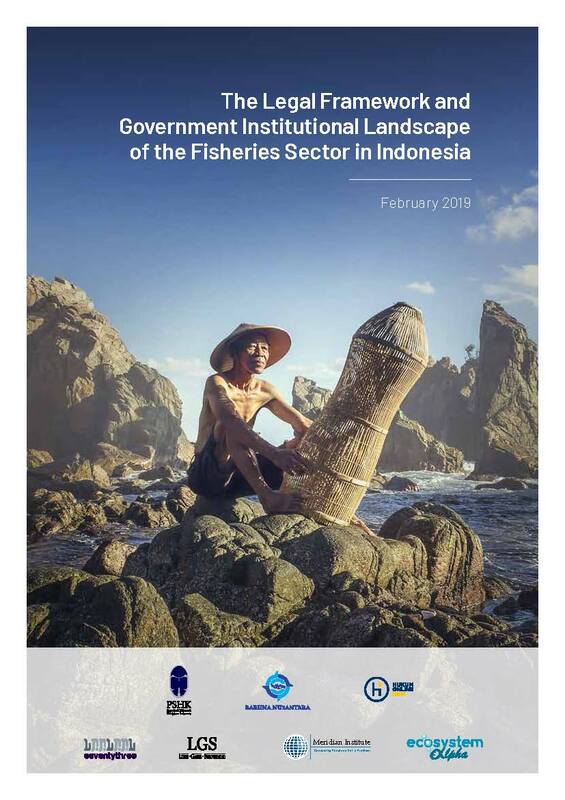 This report provides analysis of the policy, legal, and government institutional landscape of the fisheries sector in Indonesia. Fisheries here includes both wild capture fisheries and aquaculture. The focus of this report is on clearly articulating the current state of policy, law, and government institutions to inform and provide references for stakeholders in the fisheries sector.